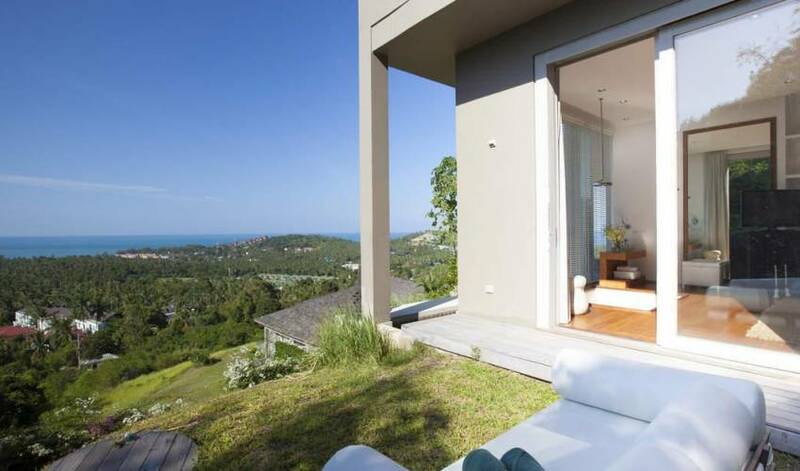 Villa 4340 is a spacious and luxurious über styling 3 bedroom villa, set in lush tropical surroundings on a hillside overlooking the captivating bays of Choeng Mon and Plai Laem. 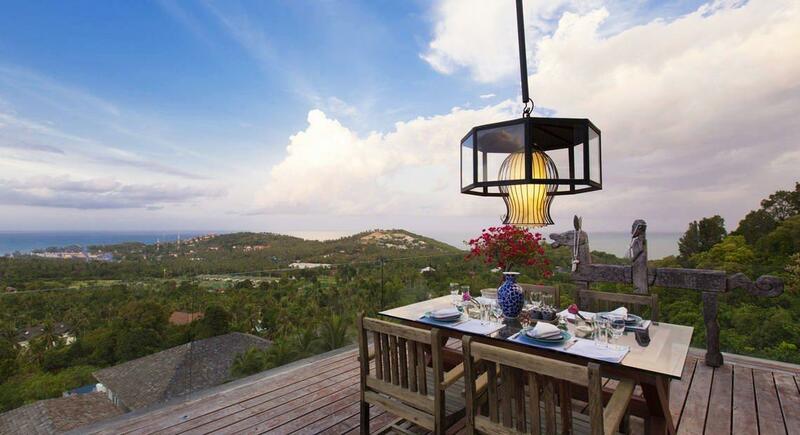 Designed to encompass these wide panoramic vistas of the azure Gulf of Siam and neighboring islands, the villa enjoys these exquisite backdrops from any platform, within this very special residence. 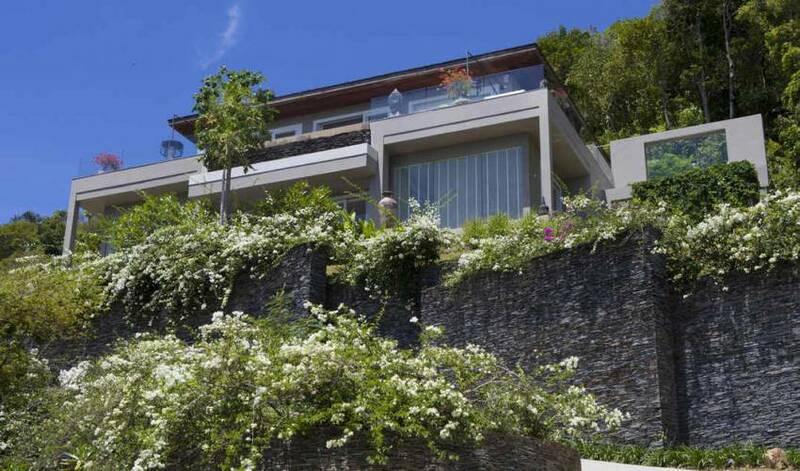 Villa 4340’s stunning hillside location, surrounded by lush sloping tropical gardens with impressive feature slate walls and ornamental ponds fringed with traditional Asian carvings, leads guests to the uniquely designed wrought iron main entrance. Arranged over two levels including three spacious luxurious bedrooms, an open plan lavish living area including kitchen, banquet dining and sumptuous lounge, all enveloped in these kaleidoscopic sunrise and sunset sea views. The villa is a style guru amongst the high-end villa set, offering cool and contemporary accommodation in a breathtaking location, for a taste of something truly special. 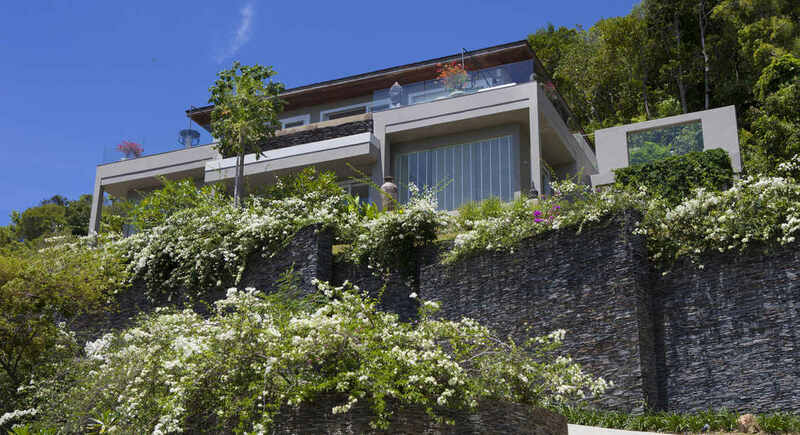 Villa 4340 has been especially facilitated and developed with a deep rooted understanding to ensure guests relax and rejuvenate, truly fulfilling holiday experiences in unadulterated luxury. The opulence, comforts and understated elegance of this property combines all the necessary high-end villa amenities without any of the intrusive presences of too many staff members. 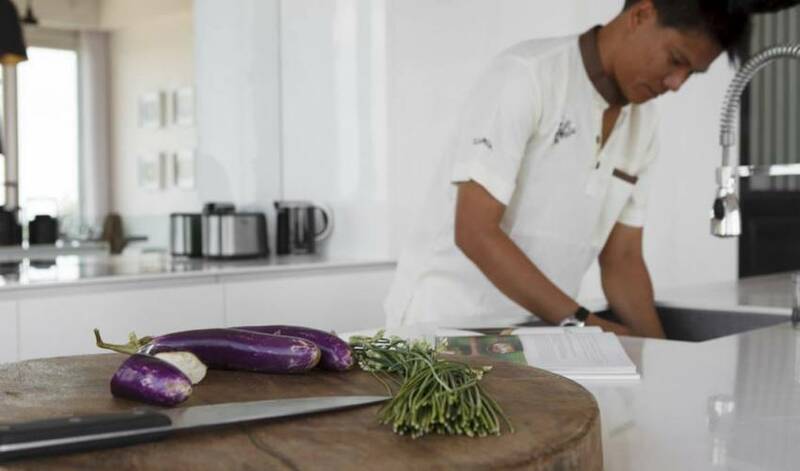 The staff are courteous, friendly, and professionally trained, focused on providing personal service to assist guests with identifying the best the villa has to offer in luxury accommodation. This impeccable attention to detail ensures guests needs and desires are experienced fully in truly extravagant, Villa Belle style. 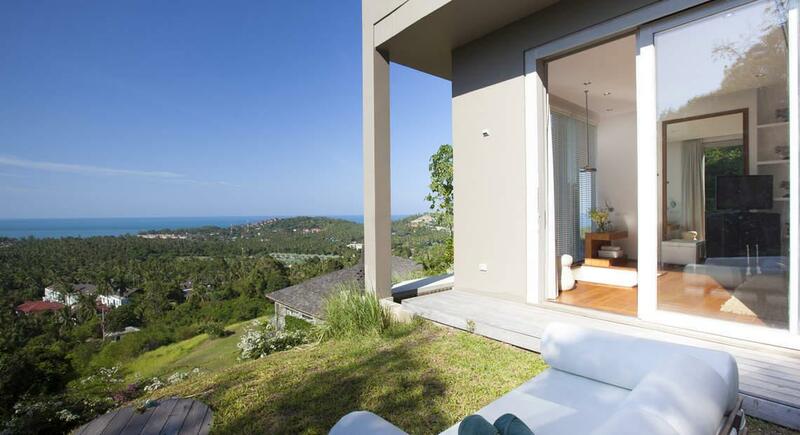 The villa is ideally located in the much sought after destination of Choeng Mon. This beautiful part of the coastline features a series of stunning bays with white sandy beaches and clear turquoise sea, swimmable all year round. Although the beach is only about 10 minutes north of Chaweng and 5 minutes from Big Buddha, the intervening coastline has kept the beach quiet and the waters clean, earning Choeng Mon the reputation of one of the most spectacular beaches on Samui. Also, closely located to the villa, at the entrance to Chaweng beach, in a stylish alfresco atmosphere, is the world-class Italian, Prego. Delicious dishes from pasta delights to mouthwatering wood fired pizzas are all available on their extensive menu. 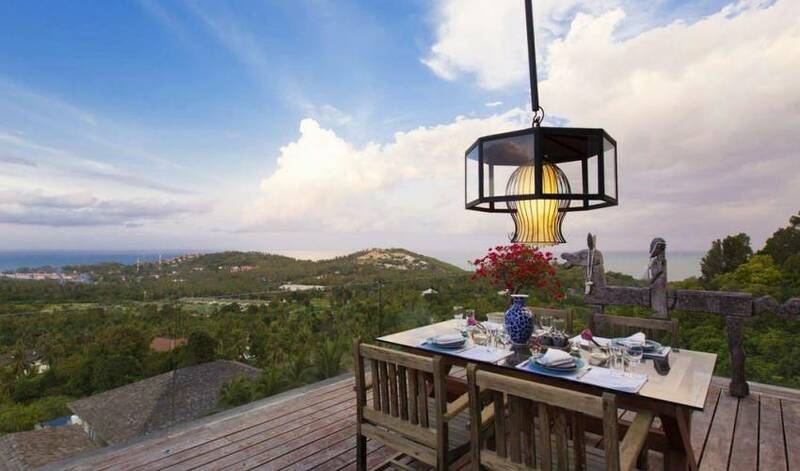 Heading the other direction towards Bang Rak, a mere 5 minutes from the villa, guests can enjoy a host of restaurants and bars catering for all appetites. Ocean's 11, with its idyllic beachfront buzz is a firm favourite amongst residents and tourists alike. The well-created dishes of Mediterranean and Thai delights in the intimate surroundings are a perfect combination for that something special. 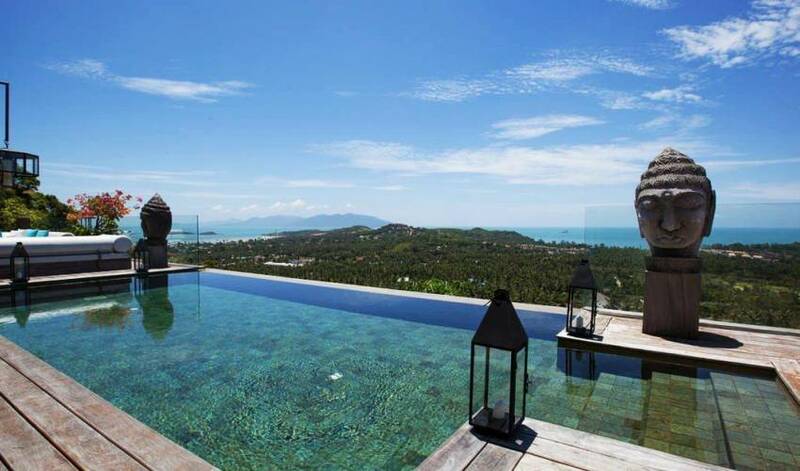 With such a myriad of destinations close to this stunning villa, guests staying can enjoy with little effort all the delights that Samui has to offer, yet retaining that unmistakable feel of getting away from it all, with its gorgeous hillside locale. In-Villa Dining is a delicious dining experience within the comfort and convenience. Choose from an extensive menu day or night, ideal for adjusting to the time difference, impromptu meetings or quiet, private dining. Villa Belle also features the ‘daddy’ of BBQ’s and can offer a chef to grill all your favourites as per your request. Easing into holiday mode and slowing the pace down to true island speed is always well assisted by the unbeatable in villa massages offered in these luxurious surroundings. 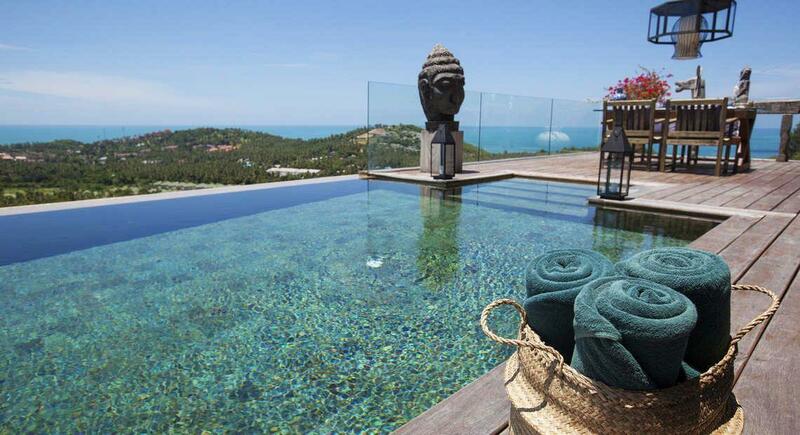 Whether in the privacy of your bedroom sanctuary or perhaps poolside flanked by the unfolding views, Villa 4340’s century old Thai massage healing techniques are a must for any guest. With panoramic vistas from sunrise to sunset and the wrap around sun deck situated in these idyllic surroundings, guests can practice yoga in private with mats offered on a complimentary basis. One-hour private yoga lessons with highly experienced instructors, from Hatha to Astanga yoga, can be arranged with the Villa Manager. Absolute Sanctuary is closely located to the villa, offering a variety of different routes to help you cleanse, recharge and revitalize. Yoga packages are available whether you are a beginner or a dedicated practitioner and as part of the Absolute Yoga Group, the teachers are well placed to help you enhance your practice through the daily classes offered by world-renowned yogis. Villa 4340 would like to recommend two award-winning spas on the island. Kamalaya Wellness Sanctuary and Holistic Spa located in the south of Samui at a stunning beachside location in Laem Set, offers an extensive range of holistic medicine, spa and healing therapies. 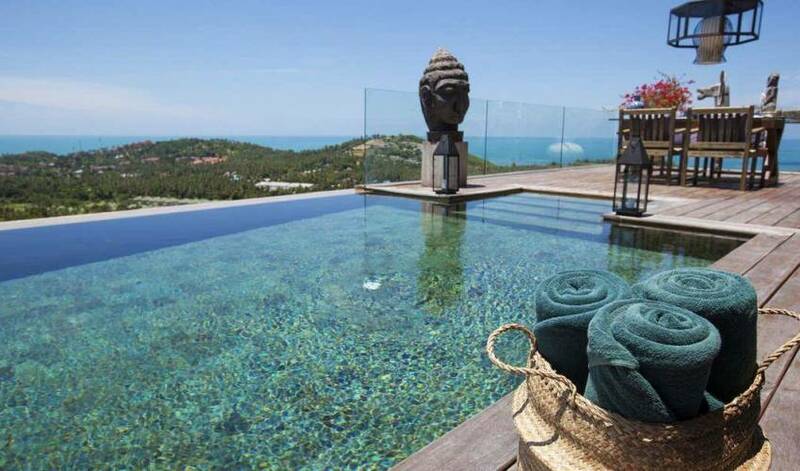 Tamarind Springs Spa in Lamai, is set in lush coconut groves in a valley of impressive granite boulders. Massage treatments are performed in open-air pavilions and guests can enjoy drifting between the herbal steam cave, and the cooling waters of the rock plunge pools. Karma’s Rock Pool, located on a private beach in Choeng Mon, close by, is a stunning location for brunch on this expansive deck with captivating views. Delicious oysters and other culinary treats are available at the all day buffet for a Sunday brunch in true island style. 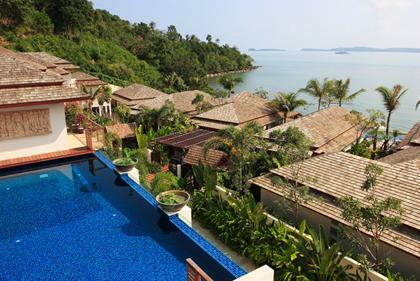 Nikki Beach, is a beach club of global success set along the shores of Lipa Noi beach. Stamped with Nikki's signature style, Sundays can be spent sipping champagne on double bed sun loungers around the pool and guests indulging in the well-acclaimed Sunday Brunch. The all you can eat exquisite buffet is filled with mouthwatering delights that will have everybody smiling. Beach Republic, is situated along the gorgeous icing sugar sandy beach of Lamai and oozes a funky contemporary style. The Ultimate Sunday Brunch Club™ is top rated by Fah Thai Magazine, as ‘Samui's best brunch just got better!’ The buffet is prepared with delicacies like roast Wagyu beef, roast lamb, Sea Bass, Foi Gras station, Fine De Claire oysters, Maine Lobster and Alaskan King Crab for some mouthwatering treats to be enjoyed lounge style next to the pool and beach. Chaweng Beach has a long-standing reputation for being one of the prettiest beaches in Samui with its icing sugar sands and clear turquoise water. Although these days the beach is often very busy, the long winding bay is ideal for long beach walks early morning or at sunset. With endless shopping possibilities, the Chaweng beach road is a short drive from Villa Belle and is an Aladdin’s cave of shopping madness. Six kilometers of beach road feature shops selling beach ware, jewellery, sports shops, nik-naks, and unlimited copies, the entire length of it, a shopaholic’s dream. Shops open midday and stay open long into the night. Streets are transformed into a bustle of market activity on differing nights of the week, held all over Samui. The busy markets are full of life as residents and tourists alike, flock to see the unusual and incredibly cheap eats and treats for all to indulge in and enjoy. The soft white sandy beach of Choeng Mon and lapping turquoise shoreline is a stunning venue for relaxing or playing. Beach volleyball, a favorite Samui sunset past time, is often played at the beach during the sunset hours for all who choose to join in and the long curvaceous bay is ideal for walks at any time of day. SuperPro in Chaweng is a traditional Muay Thai gym focusing on providing sporting excellence, through dedicated training. Young Thai fighters are often seen training here alongside students from other countries who wish to improve their fitness/technique. The caliber of training at the gym is highlighted by the long list of hugely successful fighters that have trained here.